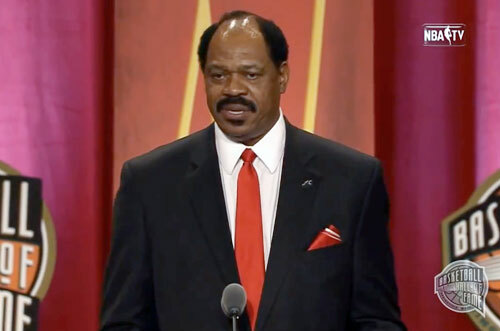 AUGUSTA, GA. — Retired NBA great and Basketball Hall of Famer, Artis Gilmore, will be the keynote speaker at the Augusta City Classic Hall of Fame Banquet on Oct. 8, at the Augusta Marriott at the Convention Center. The event will honor former Lincoln County coaching legend Larry Campbell and former Augusta basketball great Michael Curry who will be inducted into the Augusta City Classic Hall of Fame. The Augusta City Classic football game between Benedict and Lane College will begin at 2 p.m. on Oct. 10, at Laney Memorial Stadium. Source: Augusta Chronicle. Michael Curry is currently the head coach of the Florida Atlantic University men’s basketball team. Like Campbell, Curry is immortalized at Glenn Hills High School, where the new basketball gym was named after him in 2014. After graduating from Glenn Hills, Curry posted a breakout career at Georgia Southern before playing in the NBA for more than a decade and later becoming president of the NBA Players Association and head coach of the Detroit Pistons. Artis Gilmore is a retired Hall of Fame basketball player who played in the both the ABA and NBA. He was inducted into the Naismith Memorial Basketball Hall of Fame on August 12, 2011. A star center during his two collegiate years at Jacksonville University, in Jacksonville, Florida, Gilmore led the Dolphins to the NCAA Division I championship game in 1970, where his team was beaten 80-69 by the UCLA Bruins. Gilmore remains the top player in rebounds per game in the history of NCAA Division I basketball. Gilmore followed 5 All-Star seasons with the Kentucky Colonels of the ABA by becoming the 1st overall pick of the 1976 NBA dispersal draft, which was held after the ABA was disbanded, as four teams transferred to the NBA. In Gilmore’s complete pro basketball career, he was an eleven-time All-Star, the ABA Rookie of the Year, and an ABA MVP, and he remains the NBA career leader for field goal percentage. Sports Speakers 360 is a booking agent for pro athletes. If you would like to book Artis Gilmore for a speaking engagement, appearance or endorsement, contact Artis Gilmore’s booking agent for fees at 1.855.303.5450.